Learn about Dr. McPike's specialized role as an electrophysiologist at The Heart and Vascular Center. Meet Electrophysiologist Dr. James McPike. He is from Alton and went to University of Illinois Champaign. He then attended University of Illinois Chicago for medical school and completed further education at Loyola. He is a cardiac electrophysiologist, which means he takes care of heart rhythm problems. 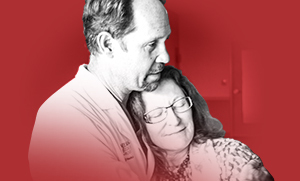 What should a patient expect when they come to The Heart and Vascular Center? When they come to see him, a lot of his job is educating the patient, which he likes a lot. What's the most rewarding part of being an electrophysiologist? He gets a lot of satisfaction in seeing people who have suffered their whole lives with heart rhythm problems, because it can come out of nowhere and ruin a day. To take someone who is suffering like that and then fix the problem is really rewarding. The new atrial fibrillation procedure he performs can fix problems as well, which is also very rewarding. To learn more or schedule an appointment with Dr. McPike, please see his complete profile. 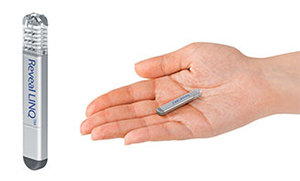 This tiny device can continuously monitor your heart for three years.